The Chinese, the Russians and other powers also have their miltary space programs and we can’t be entirely certain who has what capability. Although the militarization of space started long ago, a number of technological developments and tests over the past decade show that the race toward its weaponization is accelerating. Driven by Washington’s dominance of and strategic dependence on space, US rivals are working to develop and deploy anti-satellite weapons (widely known as ASATs). The technology, which began to be developed during the Cold War, has become an area of intense competition for the world’s most capable militaries over the past decade. Washington’s dependence on space infrastructure reflects the United States’ dominance in space. The tyranny of time and distance inherently hinders the United States’ ability to deploy its military across the globe. But the space domain effectively helps the country to overcome the limitations, allowing for enhanced force projection. As a result, the US military relies heavily on its orbital assets for navigation, intelligence collection, precision targeting, communication, early warning and several other crucial activities. Despite the United States’ superior ability to strike at enemy space constellations — groups of similar kinds of satellites — competitors may determine that the resulting loss of space access would be worthwhile if they could severely degrade US space access. And while the United States is the most proficient nation in space-based warfare, there are limits to its abilities. Satellites in orbit follow predictable movements, have restricted maneuverability and are difficult to defend from an attack. There is little doubt that a full kinetic strike on US satellites, which would inflict physical damage, would invite a devastating response. But tactics designed to degrade the satellites’ abilities, rather than to destroy their hardware, could be deemed less escalatory and therefore perhaps worth the risk. These include jamming signals, hacking operational software and dazzling (temporarily blinding) or permanently disabling sensors. Calculating the risk of nonkinetic strikes, which would create little physical damage and could even be reversed, a potential foe would take into account the United States’ hesitance to escalate a conflict in space, given its heavy dependence on orbital technology. Redundancy and shielding can also deter limited attacks against satellites. The innate redundancy of large satellite constellations could make attacking them too risky; such an assault would fail to significantly impair US space control while still inviting retaliation. Meanwhile, more widespread use of resistant antenna designs, filters, surge arresters and fiber-optic components, which are less vulnerable to attack, is already being explored to further shield satellites from jamming, dazzling and blinding. Finally, the United States can work alongside its global partners and allies to convey the idea that a full-blown battle that would destroy orbiting satellites would be bad for all of humanity. Reinforcing this message and openly tying it to a powerful US response could further bolster deterrence. While the United States works to discourage hostilities in space, in no small part to ensure its enduring advantage there, Washington is also taking more steps to plan for the contingency of a war in space. The Department of Defense has nominated the secretary of the US Air Force as the initiative’s principal adviser, tasked with coordinating space-related efforts across the military. 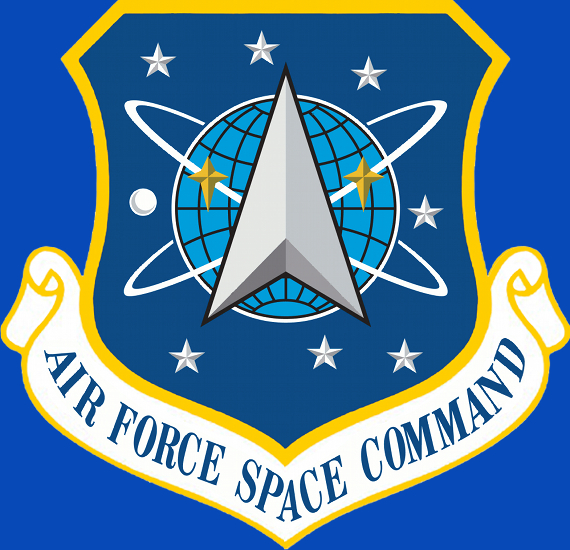 Late last year, the United States also established the Joint Interagency Combined Space Operations Center at Colorado’s Schriever Air Force Base. The center facilitates information sharing across the national security space enterprise and has already run a number of wargame scenarios to simulate conflict in orbit. As part of this endeavor, the office has directed the development of a standardized but modular satellite chassis that allows for multiple payload variations. The result is increased flexibility, as well as lower costs and quicker turnaround in production. Developing a less expensive and more efficient way to launch replacements for destroyed or disabled systems is the next step. With that in mind, the Operationally Responsive Space Office is funding the development of the Spaceborne Payload Assist Rocket-Kauai (SPARK) launch system, designed to send miniaturized satellites into low-Earth and sun-synchronous orbits. In its efforts to rapidly launch swarms of miniaturized satellites on the cheap, the US military is also looking to leverage the private sector. Companies such as Virgin Galactic (with the LauncherOne) and the Rocket Lab (with the Electron Vehicle) have expressed keen interest in the initiative. The small satellite revolution promises the speedy replacement of disabled satellites in the event of attack — theoretically securing the US military’s use of space constellations in support of operations during a conflict. Small satellites are not a magic bullet, however; key satellite functions will still depend on bulkier and more complex systems, such as the large but critically important nuclear-hardened command-and-control mission satellites. Many of these systems involve hefty antennas and considerable power sources. While the United States and other nations are taking measures to better prepare for a potential war in space, their emphasis will likely remain on deterrence. This is an important notion to understand, not only for potential US enemies but also for the United States itself. For instance, it is conceivable that technological advancements in the coming decades could allow the United States to recover militarily from a space clash more quickly than the ever-more space dependent China or Russia. In such a scenario, the costs that a space war would have for the world as a whole might be enough to dissuade Washington from launching its own space attack.